The sister drama of “A Love So Beautiful” is set to air in April. 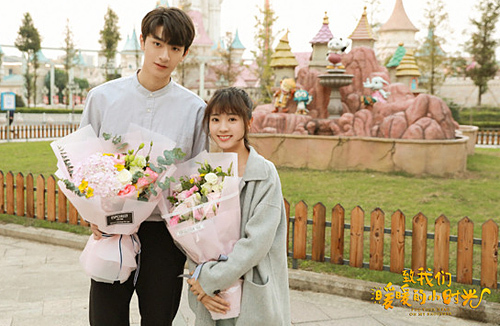 Chinese drama A Love So Beautiful <致我們單純的小美好> revived the high-school romance genre, with its lighthearted saccharine-sweet plot successfully propelling lead actors Hu Yitian (胡一天) and Shen Yue (沈月) to fame. The filming for its sister drama, Put Your Head On My Shoulder <致我們暖暖的小時光>, started in August 2019 and was completed last October. A recent announcement that the drama will finally premiere in April has elated fans. Viewed as the second season of A Love So Beautiful despite its different cast, Put Your Head On My Shoulder is adapted from the novel of the same name. The story focuses on the vivacious Situ Mo and weirdo nerdy Gu Weiyi. Clashing repeatedly, the two accidentally end up having to live together. The drama will narrate the sweet, funny moments they experience under one roof, which unwittingly turns into love, as well as growing up milestones. The lead actor is Lin Yi (林一), who was signed on by Hu Ge’s (胡歌) management company. He had taken part in the audition for My Huckleberry Friends <你好，舊時光>. Although rejected, he started appearing on variety programs. With his impressive height of 6 feet 1 inch according to official sources and handsome cool-boy looks, it is likely that the actor will join the ranks of “National Boyfriends” adored by female viewers once the drama airs. Lead actress Fair Xing (邢菲) made viewers sit up with her vivacious portrayal as An Chuxia in Master Devil, Do Not Kiss Me <惡魔少爺別吻我>. 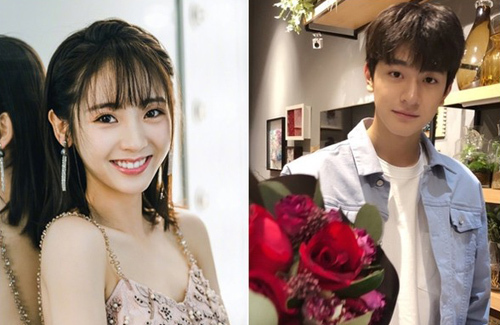 With huge charming eyes and a petite frame, her pairing with Lin Yi in the drama is set to create an adorable height difference, as she reaches only up to his shoulders. The onscreen pairing of the good-looking duo has also increased viewer interest in the long-awaited premiere. @megamiaow agreed. there’s nothing cute feeling like a guy looms right over you. most women have a minimum height requirement…I have a maximum height one. @coralie Totally agree. 6 ft 4 was a bad idea for me (4ft 11). 5 ft 9 or 10 is my max. How is that adorable? They just look incompatible and awkward as a couple. I don’t understand this new fad either. On-screen couples with huge height differences are just attempts to make the girl look “cuter” and the guy look “cooler.” I don’t see anything adorable about it. If anything, it looks so forced and awkward. Wow! I recently stumpled upon Cdrama on utube called ” I Hear You or The Most Pleasant Thing To Hear ” It’s actually a pretty cute and refreshing storyline so I am still watching it. The height differences on that series was actually pretty weird too but storyline was cute and funny so I continue. But I think the height diff of this couple seem to be bigger as the girl is barely up to his shoulder. Aahhhh…Super weird. I guess that’s the trend w/cdramas now. @wm2017 the trend is guys has to be super tall for them to be super handsome lol. Anyone not reaching 180cm isn’t good enough! Since the main draw of these drama is the main actor not the main actress, he needs to look like a dashing prince, and no dashing prince come short xD and the girls just need to be cute, because everyone can be cute, and most chinese girls are short, soooo it hits the market and let these girls dream lol! That’s why these plots haven’t changed and the characters basically have the same personality despite what dram you watch! What’s with the trend of C-dramas using Hollywood/European films titles/songs from the 60s?